Penguin Prison (New Yorker Chris Glover) has been working on his debut album for a while and it will get released through the Neon Gold label later this year. 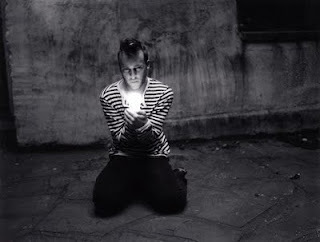 He first caught my attention with his amazing (this is better than the original) remix of Erik Hassle's song 'Hurtful'. He's issued a bunch of songs but the new release "The Worse It Gets" is pure pop genius. It is like a combination of Naked Eyes and Zoot Woman, the best song I've heard in a while. You can download the song at Asian Dan's blog, definitely worth having (not so keen on the ELOF remix, hopefully Starsmith will do a remix, or Pete Byrne from Naked Eyes should have a go). If this is the direction he moves in I will be first in line to pick up a copy of his debut cd. Hopefully Chris will see the power of Twitter and actually start posting some Tweets on what he is up to. He has a gig in New York City on May 8th, tempted to miss the 2nd a-ha concert I have a ticket to see and check out his live set. 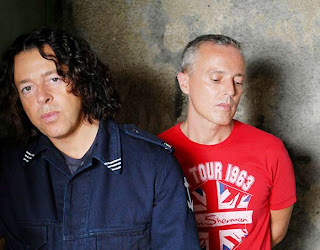 It looks like Tears For Fears will finally be doing a decent tour of the Eastern U.S. with one date in Canada, North of Toronto in Orillia. Below is the blurb from Curt's blog. Since I've been receiving many messages asking when/where/if we are doing shows in the US this summer I thought I'd give you an update. Here's where it stands: the following lists confirmed shows and TBC shows. Roland and I have signed off on them, but until the last shows are confirmed it's never 100% certain (around 95%). Also be aware that these will not be on sale for a while so don't go calling the venues :) When the on sale dates are announced I'll pass it on.